Spring is at full swing at the UMass Student Farm! 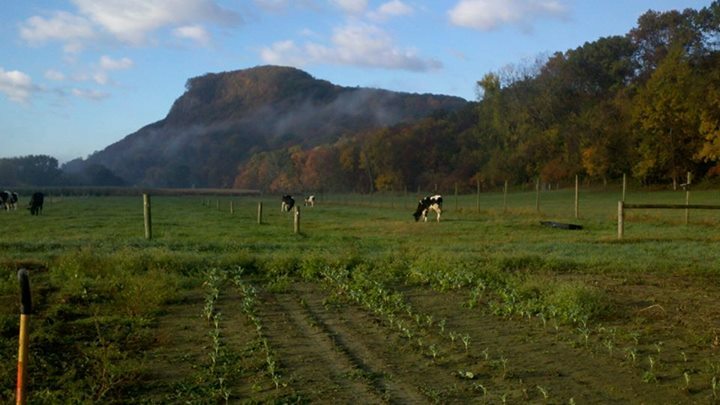 Spring is in full swing at the UMass Student Farm! We’ve had a busy few weeks seeding broccoli, eggplant, peppers and tomatoes. 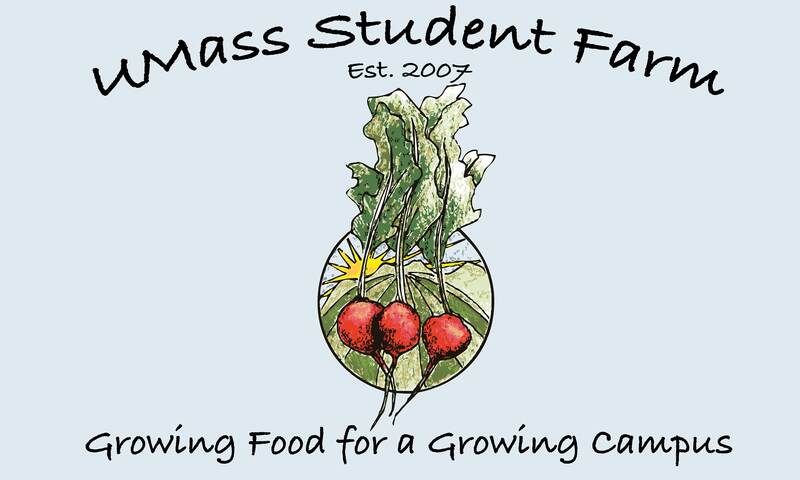 We’ve been selling transplants at the Amherst Winter Farmers Market and the UMass Farmers Market on Goodell lawn and in the Commonwealth Honors College Events Hall Friday afternoons along with some other great student vendors including the UMass Permaculture Initiative and Gardenshare. Last week we got out in the field at the Agricultural Learning Center to take soil samples and assess our cover crop stand. The soil was sent to the West Experiment Station for testing. In South Deerfield , where we plan to do most of our summer production, we are plowing and preparing beds and transplanting onions. Seed potato spuds are cut into sections each containing one budding “eye” of growth and laid out to dry for a few days before planting. The season has been slow to start because of melting snow and cold nights but now the soil is drying out and the days are getting warmer there’s so much to do! Everyone got a chance to drive the tractor at South Deerfield as we prepare beds for direct seeding and transplanting. 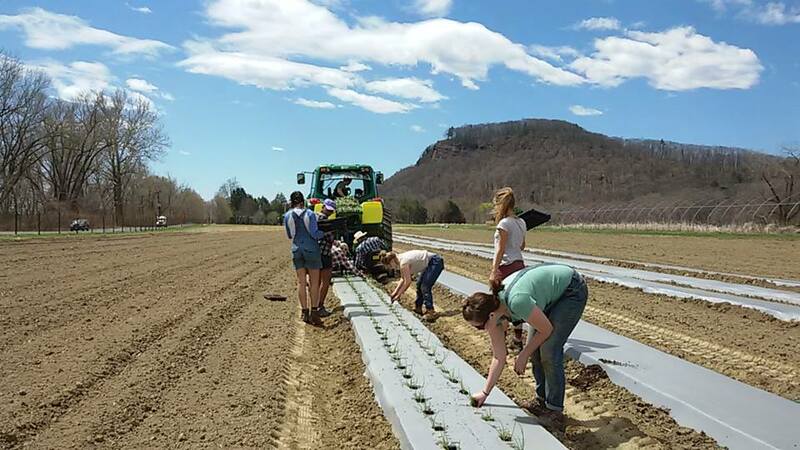 Last Wednesday we attached the transplanter to the tractor and loaded up our 128 cell trays. 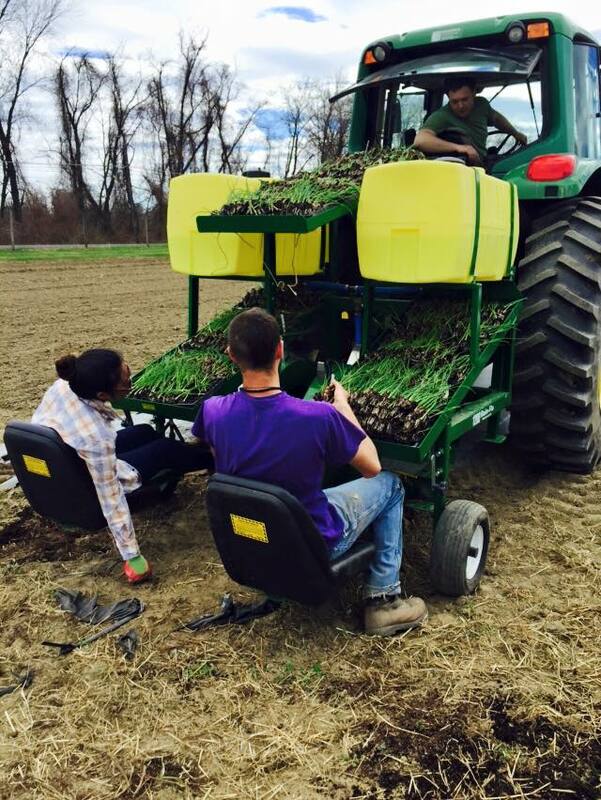 Two people sit on the back of the attachment and drop onions into the holes as the transplanter opens them. Others follow behind tucking the plants in. The tractor also holds 100 gallons of water to use as we go, just enough to help the plants get well established. Though it’s a slow process we managed to finish four five hundred foot long rows! We estimated that we planted at least 10,000 onions. We can’t wait to give these to our CSA members, make them available to the UMass community through Dining Services and the Student Farmers Market and to the greater community through Big Y.
We’ve also been offered the opportunity to expand to Big Y in Greenfield in addition to their Amherst and Northampton stores. We’re expanding our summer production this year with a bigger crew, more land, and hopefully we will be growing a lot more food than ever! The hoop house at the ALC will allow us to grow hardy crops like spinach later into the winter months. Other highlights were our field trips to the Plant Diagnostics Lab and the Big Y Produce Warehouse and Headquarters in Springfield. 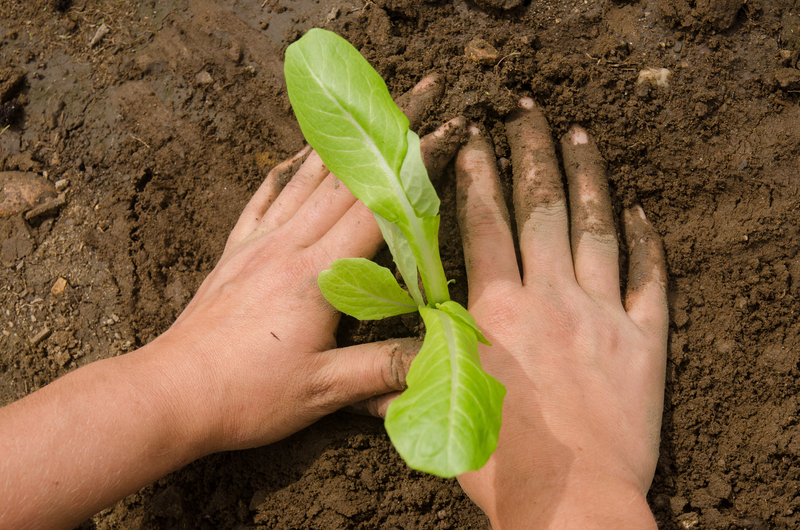 This year we will be planting a pick your own plot for the first time! CSA members will be able to come to the farm and harvest their own herbs, pumpkins and other vegetables during the Fall. Another exciting development is the implementation of certified organic chickens on our fields at the Ag Learning Center (ALC) on North Pleasant St. A lot of planning has gone into our water management plan for the ALC. We’ve also been working on developing SOPs (standard operating procedures) to bring the student farm into line with Good Agricultural Practices and establish a comprehensive food safety plan. There’s a lot to look forward to in the coming months, CSA shares are still available and we will be holding volunteer opportunities and potlucks! To stay connected please join our Facebook Group! If you want to support our project, please buy a CSA share!